If you have ever opened the lid of the washing machine and gazed at your freshly washed clothes with pleasure that quickly turned to horror, then you know the disaster of colors bleeding in the laundry. Dark-colored clothes sometimes transfer colors to lighter-colored clothing if you wash them together by mistake. While this can also happen to some degree with dark clothes, when it happens to your white or light-colored clothing, it can be devastating. 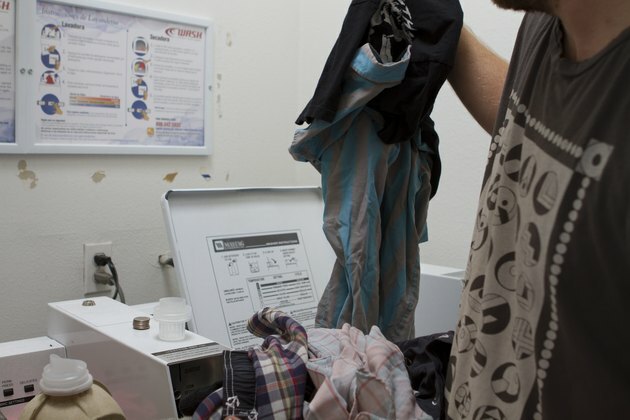 When colors bleed in the laundry, take a few quick steps to minimize the permanent damage. Sort through your laundry load and remove all of the clothing that has color stains. Try to find the article of clothing that caused the problem also, and remove it from the laundry load. 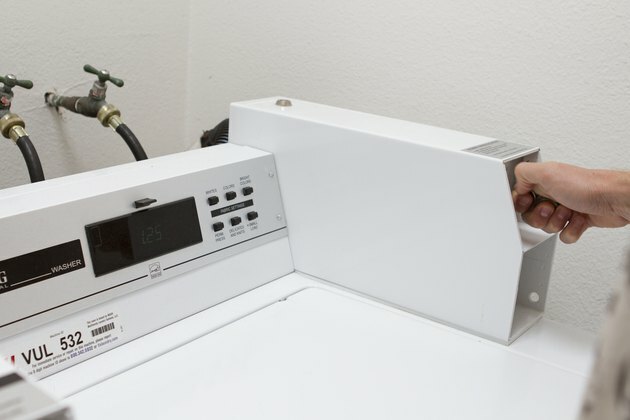 Place any clothes that do not have color stains into the dryer, and finish drying these clothes. 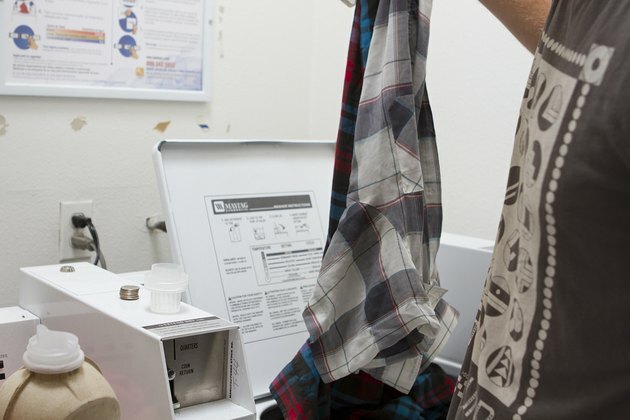 Place the color-stained clothes back into the washing machine. 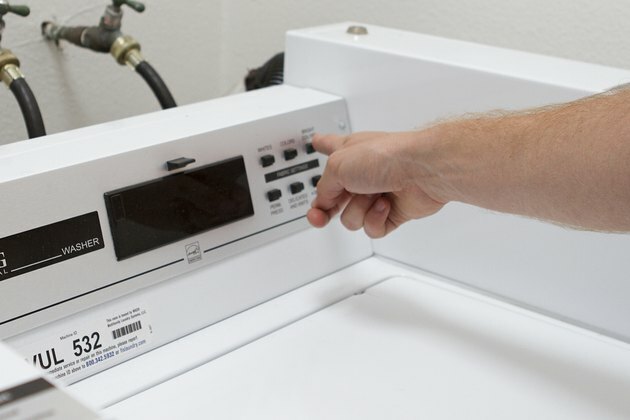 Fill the washing machine with cold water just until the clothes are under the water level. Set the washing machine to an agitate cycle, and agitate them for three to four minutes. Stop the washing machine. If the clothes are all white, add approximately 1/2 cup chlorine bleach. If the clothes are not entirely white, use color-safe bleach instead. Use 1 cup of white vinegar instead of bleach if you prefer. Start the agitate cycle on the washing machine again, and agitate the clothing for five minutes. Turn the washing machine off, and soak the clothes for approximately 15 minutes. 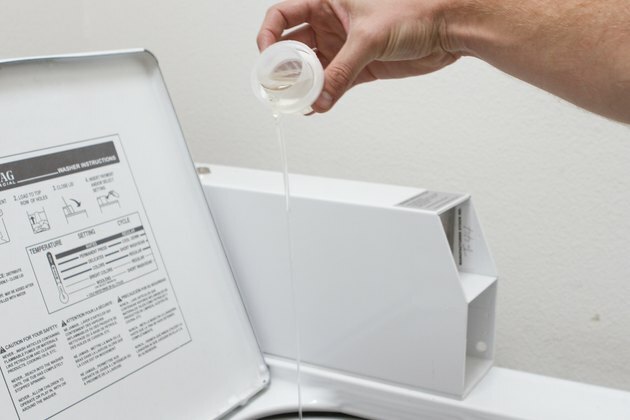 Drain the water from the washing machine and add an appropriate amount of laundry detergent to wash the clothing in a regular cold wash cycle. Set the washing machine to a normal wash cycle, and wash the clothing normally. Examine all of the clothing after the wash cycle finishes. 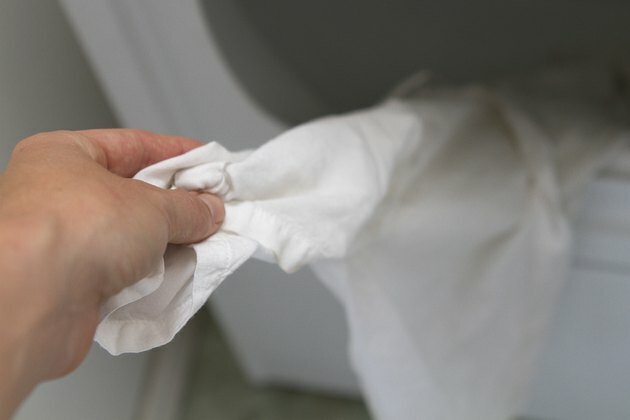 If the color stains are gone, dry the clothing in the dryer as you normally would. If the color stains persist, repeat Steps 2 through 5 to try to remove the stains again.